POWAY, CA, January 24, 2017 – Country Montessori School (CMS) is proud to announce today that the School has been honored as one of only three schools in San Diego selected by the American Montessori Society for onsite, educational tours on March 9, 2017. CMS anticipates that more than55 national and international participants will take advantage of this unique learning experience to tour the school, and meet the faculty and students. As part of the CMS tour, participants will have the opportunity to have a physical tour of the school, as well as attend an onsite workshop by long-­‐time Montessorian and music teacher, Frank Leto. CMS had to meet specific requirements to be considered as a model tour school, including an in-­‐depth interview with AMS and an onsite evaluation tour. Students will be part of the interactive sessions with Mr. Leto and teachers and staff will assist with the onsite tour and lunch. This year’s AMS conference theme is “Montessori Beyond Borders”, and this speaks to the hearts of the students, faculty and parents of CMS, where valuing diversity, partnering with the local community and supporting global awareness with active student involvement are key to Country Montessori School’s mission. CMS is in the process of launching enrollment activities for the 2017-­‐18 school year. For more information and a personal tour, where prospective parents and students can see the campus, meet the staff and discuss the School’s curriculum, please contact Sheila Walker at (858) 673-­‐1756. Further information regarding CMS can also be found on the School’swebsite at www.countrymontessorischool.org. Founded in 1989, Country Montessori School (CMS) is a nonprofit educational institution dedicated to providing authentic Montessori teaching methods while integrating the latest technologies. CMS serves children ages 2.6 months to 11 years inthe School’s Early Childhood (Preschool and Kindergarten), Lower Elementary, and Upper Elementary programs. CMS is a full member of AMS and isWASC (Western Association of Schools and Colleges) accredited. 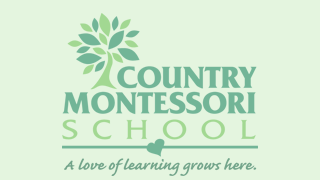 Country Montessori School is committed to maintaining its leadership in Montessori education. Our mission as educators and parents is to foster independent, confident, academically prepared, and socially responsible citizens, who will be lifelong learners and problem solvers. We will grow and evolve to meet the needs of our children, parents and community.